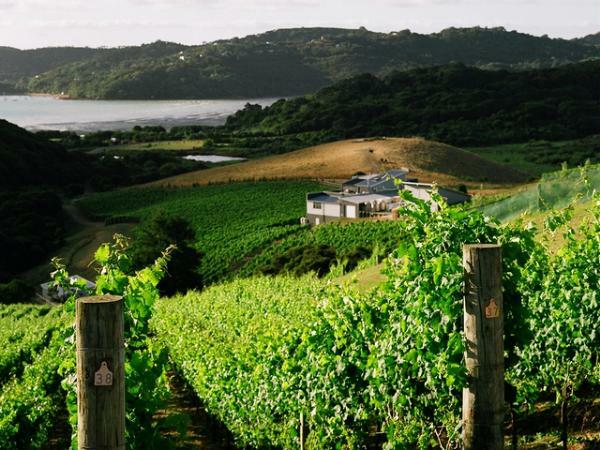 Destiny Bay Vineyards is located in a small, north facing valley on Waiheke Island, New Zealand. Established in 2000, Destiny Bay grows Cabernet Sauvignon, Merlot, Malbec, Cabernet Franc, and Petit Verdot from top-grade clones selected from premium wine districts around the world. Destiny Bay wines are found on the wine lists of fine restaurants and in the private cellars of discriminating collectors. Destiny Bay is a fully accredited “Sustainable Vineyard & Winery” and emphasizes old world traditions, new world techniques, and a timeless passion for excellence. Member of The Specialist Winegrowers of New Zealand. Tastings are strictly by appointment and availability is limited to weekdays with occasional availability on the weekends. Please visit our website to make an appointment.